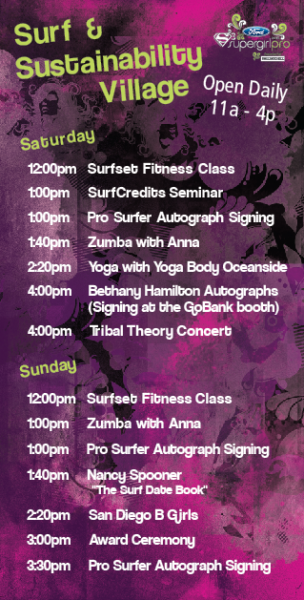 The Ford Supergirl Pro presented by Paul Mitchell will feature a surf industry and sustainability village that includes live music, seminars, yoga, fashion, fitness, dance, art, autographs from the pros, give-aways, free hairstyling by Paul Mitchell and other female-oriented activities. Have your hair styled for FREE by the Paul Mitchell professional hairstylists. 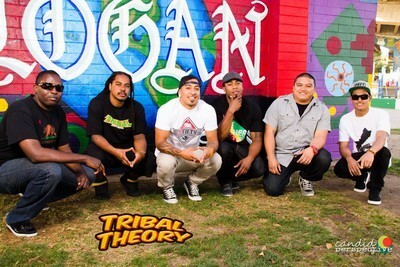 Stay after the contest Saturday, Aug 3 for Tribal Theory playing live in the band shell at 4p! © 2013 ASA Entertainment Group, LLC, All rights reserved.